1. Making quoting processes smarter, more agile, and flexible. This enables and empowers sales teams to quickly provide accurate quotes, with deal-specific pricing and discounts, to their customers. 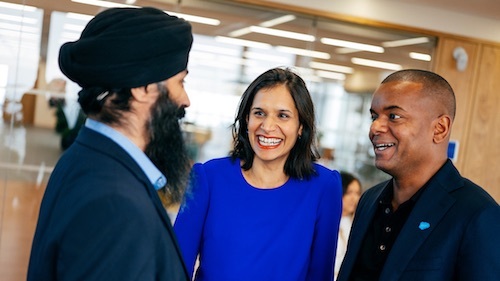 Companies are adopting new and flexible business models that require proration calculations to be part of the sales process. Sales can no longer just drive by sell and move onto the next deal. Building a recurring relationship with your customer requires sales to quote contract upgrades, add-ons and swaps; all of which require proration calculations to ensure co-terminus contract renewals. 3. Providing a single view. This not only means a single view of the customer, but also a single view of the business on one platform, allowing sales, finance and other business units, to optimize their revenue operations while maintaining compliance. Salesforce is the first platform to deliver true integrated and seamless quote-to-cash. 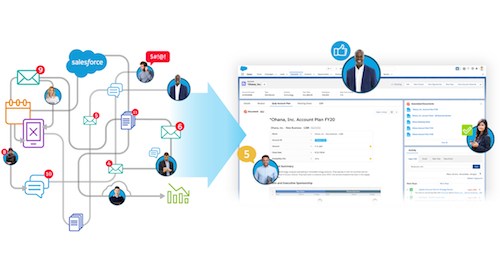 Salesforce CPQ automates the last stretch of the sales cycle to give you greater efficiency, higher win rates, and improved revenue. Sales reps can quickly generate quotes and proposals, managers can retain margins with price and discount controls, and Finance is able to easily generate orders and manage collections and revenue recognition. All this on the world’s #1 CRM, so you get immediate visibility and insights from every part of the sales process. 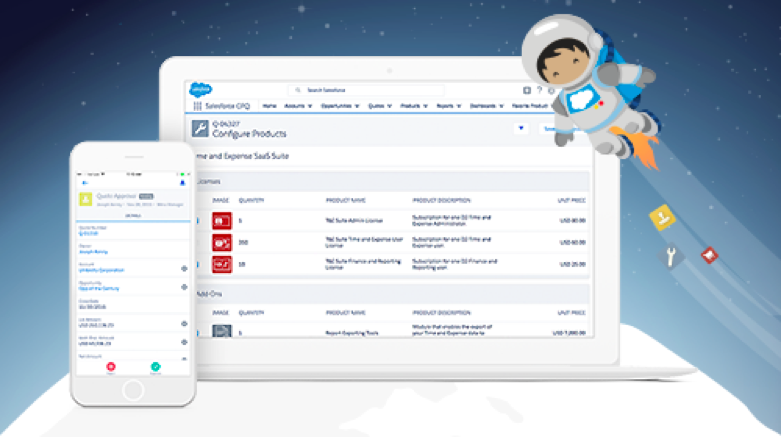 See how Salesforce CPQ can drive success across your business here. 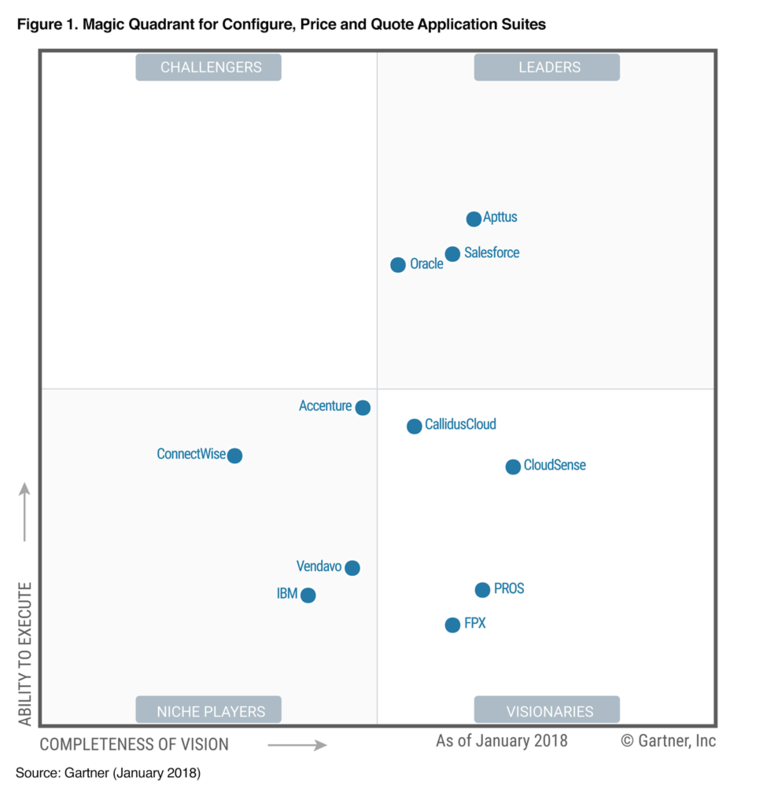 Thank you to our customers and partners for helping us get recognized as a Leader in the 2018 Gartner Magic Quadrant for Configure, Price, and Quote Application Suites. Read the entire Gartner report for an in-depth look at the results. 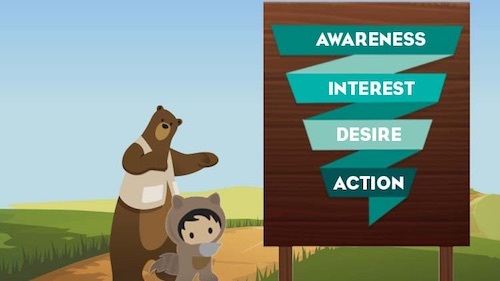 And see how Salesforce will position your company for sales success. Automate quotes, control pricing, and close deals faster on the world's #1 CRM platform. LEGAL: "Gartner does not endorse any vendor, product or service depicted in its research publications, and does not advise technology users to select only those vendors with the highest ratings or other designation. Gartner research publications consist of the opinions of Gartner's research organization and should not be construed as statements of fact. Gartner disclaims all warranties, expressed or implied, with respect to this research, including any warranties of merchantability or fitness for a particular purpose."